Air source heat pumps and ground source heat pumps are gaining a foothold in the construction industry for their energy efficiency and cost effectiveness. For decades, Sisler Builders installed propane (and sometimes oil) heating equipment as a matter of course. The advent of heat-pump technology and, to a lesser extent, rising fuel prices, has changed all of that. For the last few years, Sisler Builders installed air source or ground source heat pumps in almost all of their buildings. The technology for heat pumps, which are essentially air conditioners that run in reverse, has improved drastically in the last 20 years. On average, the systems are now four times more efficient than traditional electric resistance heat, operate well (even in Vermont winters) and cost less to operate than propane or oil. 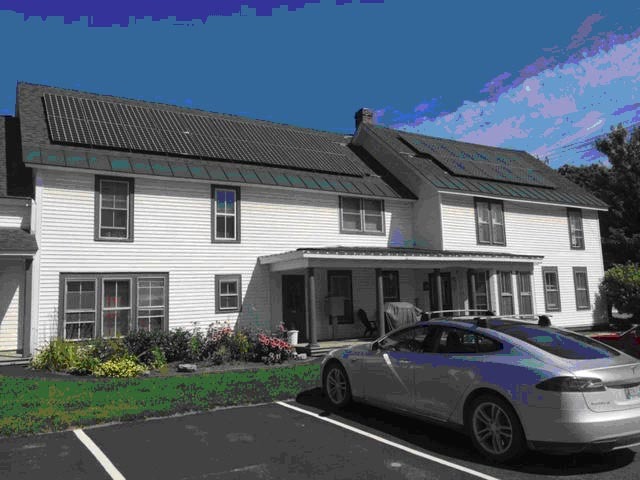 In 2013 Sisler Builders installed air source heat pumps in one of their apartment buildings in Waterbury, Vermont. It replaced an old and outdated oil boiler. The annual heating and hot water costs of the building have gone from about $8,000 to $2,500 annually! And, since almost all of the electricity comes from a rooftop solar array, the system is much better for the environment, too. To learn more about air source and ground source heat pumps, go to GreenBuildingAdvisor.com and search for Nick Sisler. Nick is co-founder and lead engineer at Ekotrope, a building energy software and consulting company. This essay is adapted from an article in Green Building Advisor.